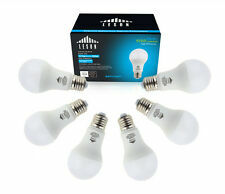 (6 Pack) 25 Watt Frost Medium Base E26 Flame 130V Chandelier Light Bulbs NEW!!! 2/4/6pack Dimmable 11W 15W E26 LED Baffle Trim Recessed Retrofit Downlight 4"/6"
This page was last updated: 24-Apr 19:13. Number of bids and bid amounts may be slightly out of date. See each listing for international shipping options and costs.